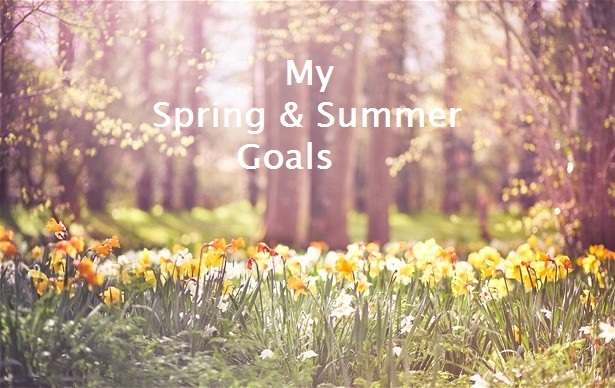 I thought I would do another goals blog post and share what I want to do this Spring time and Summer time like I've done for "My Summer Goals 2015". "My Autumn & Winter Goals 2015", and "My 5 Goals for 2016" as I always get some good feedback from these posts and I thought you all enjoy reading what my goals are for this Spring and Summer time. Buy fresh flowers for our home every week: I love having fresh flowers in our home, I really do think having flowers in our home really makes our home look more beautiful with flowers in it and since we have moved home a few weeks back I really want to make it a thing to put some flowers in our dining room each week to just brighten the food. Can you tell I love fresh flowers in Spring time? They make me excited. Visit the local farm: I love our local farm, and I love farm and country life. This is one of the main reasons why I moved to Prescot to be honest as I really love the slow-country style life but now that we've moved to Liverpool our own local park is Croxteth Park Farm. I have done a blog post about this place so if you'd like to read that then feel free to do so by clicking here. 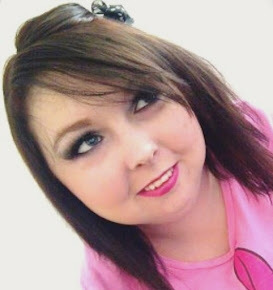 Have more days out: Being a blogger I can spend hours in my makeup room doing work wishing I was chilling outside so this time I am going to make sure that at least for one hour each day I go outside (even in our garden) and get some fresh air properly rather than just having my window open. Plus each day out I have I'll make a blog post about it for my "Our Day Out" series. Explore Speke Hall and Sudley House: These are two places that I really want to go and spend the day exploring as I have wanted to visit them since I was a little girl. If you're coming to Merseyside, or you live in Merseyside and haven't been to these places yet, I really recommend checking these two places out as they look like they are such wonderful places for couples, for families or just for a day out on your own. If you do visit any of these places or know of a place you think may be good for my Our Day Out series than please let me know? Drink in a real Irish pub: There is an Irish pub in Liverpool and I really want to go back to it and have a drink in there. I have been in there before but only once about five years ago and I was kind of drunk at the time to be honest. I do remember loving it in there and I really cannot wait to go back. Go on an ice cream date: There is an ice cream bar at Liverpool Albert Docks which I really want to visit. Phil and me walked past it a few times but have never actually been in. This year I think it would be lovely to have a little ice cream date at this place and sit and eat our ice cream whilst looking over the River Mersey. Have a day out at the beach: I said this last year and never ended up having a beach day out so this year I really want to have a day at the beach and hopefully catch some sunshine. Have an awesome birthday: My birthday is July 31st and I am going to be turning twenty-eight years old - how old am I getting yeah? Not fun. I really want to have another awesome birthday this year and maybe do a BBQ or something if the weather is lovely? I can't wait. 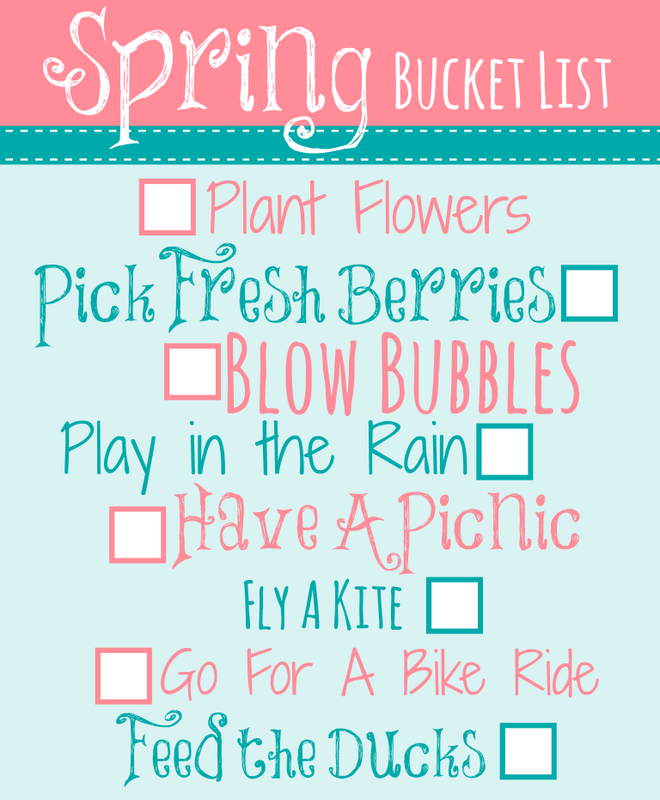 I also thought this little bucket list was so cute so wanted to include it in this blog post. Maybe these, for me, could be some side goals for this year.. 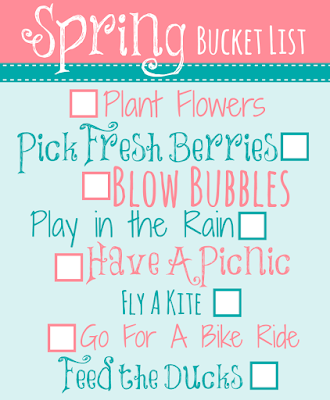 I really hope you all have a wonderful Spring time and Summer time this year, and you all have a fabulous day! The fresh flower idea is so good; they do make a space bright and cheerful! I love the sound of your ice cream date! I'm envious of your summer birthday! A BBQ would be so cool!